Has anyone except me entertained suspicion whenever a mass shooting takes place? Especially when it comes to schools? Apparently another man has doubted the events reported as well, conducted massive research, examined photos, and interviewed countless people, resulting in a book that was so definitive that the Obama Administration has just had the book pulled from public view with Amazon immediately scrubbing it from their site so nobody will know it exists. Too late. Before this, when a schoolyard shooting killed 5 children and wounded 35, including a teacher at Cleveland Elementary School in Stockton, California on January 17, 1989, the details coming out did not make sense to this writer. Eyewitness accounts were contradictory even though one immediate government proclamation was consistent with other such shootings along with the several others to follow in the years ahead. In every case, the Democrats instantly declared, the necessity of taking guns away from all Americans for our own protection. In other words, all Americans must be disarmed. It is too easy to buy guns, they say. Even the mentally ill can obtain them so all weapons must be confiscated by the government. The shooter, Patrick Purdy, who committed suicide after the shooting, had a long criminal record and was described as "Disturbed" and "mentally retarded" by a government psychologist and psychiatrist, a label we would hear in various school shootings during the years to come. This focused attention on the mental impairment issue of each shooter, which was a distraction from the real issue, while causing even more suspicious scrutiny toward anyone with even a slight mental incapacity. Again, details of this shooting made no sense. When the Columbine high school in Littleton, Colorado was attacked, killing 13 students and wounding 20 by two misfit killers, the exact same diagnosis was given. "They were psychopaths." And that description was given to all the mass shootings to follow. The authorities wanted it to appear that we can never know who is a psychopath in our midst who might be able to get a gun and kill us all, again, distracting us from taking a full look into all details and possible motivations. But one thing for sure, they insist, everybody must be restricted from gun ownership. Several of us questioned how these shootings originated. My own thoughts contemplated the possibility that the government was somehow involved in these shootings to make a point. There have been enough mysterious deaths in history to give credence to that idea. Those deaths were caused to eliminate anyone who might have the influence to change directions of a political path .So wouldn't they do the same thing to further a political goal? And how would all of these shooters have mental malfunctions? They can't ALL be diabolical killers. Since all these shooters have been described as those with mental deficiencies they can easily be manipulated. These persons feel they are shunned, considered worthless, and not welcomed anywhere. It would be simple to recruit them by encouraging them to do something very important that would make them stand out. They would make the ideal Manchurian Candidate. With the Communist influence in and over America, there is one task to do before the takeover is complete, and that is to disarm all citizens so they cannot fight back. Hitler and Stalin first of all disarmed all citizens so no one could interfere when the country was forcibly enslaved. This is so important to The Party that the mass deaths of innocents, (collateral damage), is not even important. With every shooter being declared a mental case and every shooting being exploited to disarm all citizens it is easy to be suspicious even though it can be extremely difficult to conceive that these horrible shootings would be staged to gain a political action. I've deeply thought about these issues. 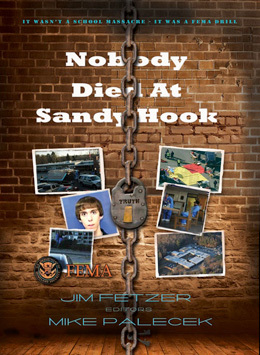 So have others including author, Jim Fetzer, who did painstaking research and wrote the book: "Nobody Died at Sandy Hook." His thesis analyzes the December 14, 2012 Sandy Hook mass killing as likely a staged government psy-op carried out with the purpose of clamping down on civil liberties; i.e. the right to bear arms. The book went on Amazon's Create Space publisher. Even so, the title makes no sense since we all know many died in the Sandy Hook shooting. Or did they? The author claims nobody died (? ), that this was all staged to push Obama's gun grab intentions. This part is difficult to swallow since there were TV clips of the many funerals that followed. In any case, something must be absolutely correct in that book for Obama to take the effort to kill that book, which he will do with any story that puts him in a bad but correct light. I once wrote for a prominent news organization that was located in D.C. near the White House. I had posted a story that was not, well, complimentary to Obama. Within 24 hours the story was gone, scrubbed. The editors would not discuss why the piece had been taken down. It was sometime later when the editor left the publication to live in another area of the country that he called me to tell me the truth. They had a non-scheduled "visitation" from the White House who ordered them to take it down, or else. The book received 5 star ratings from the public, but no ratings from Obama who promptly had the book taken down and banned. It was feared that the book would bring down the Obama administration. Similar censorship was seen last year when Youtube took down mulitple versions of the independent documentary, "We Need to Talk About Sandy Hook." which delved into the Sandy Hook anomalies, inconsistencies and discrepancies. In response to the banning of this book, the author and editor, Jim Fetzer and Mike Palecek have released the book for free in order to make sure the public has the opportunity to know the truth. So how can this book be obtained? Google search "Nobody Died at Sandy Hook" by Jim Fetzer. All information will come up. As for gun control, yes, if someone has a criminal record, or is on a no-fly terrorist list, they should be denied the right to purchase a firearm as well as those with mental problems. And by the way, the mental issues discussed do not include those with Down's syndrome. These people have such pure hearts that they cannot even conceive anything that is evil. They may do some bizarre things, such as one who would walk away from home to go to a busy intersection and 'direct traffic' but he did nothing harmful. I did the funeral for this very gentle man. Yes a background check should be required for every potential purchaser of a firearm. But it will not be tolerated for Obama's henchmen to attempt to grab the guns of every law abiding citizen, which they are attempting to do. As for the mentally deranged who carried out the shootings, it is very doubtful that they would do something like this on their own. Our feeling is that they had to be coaxed. The truth is coming out. Rev. Austin Miles has broken many major stories including the required study of Islam in the public schools, and reviews books, movies and concerts which brought him an award from University of California at Fullerton for Critical Review. 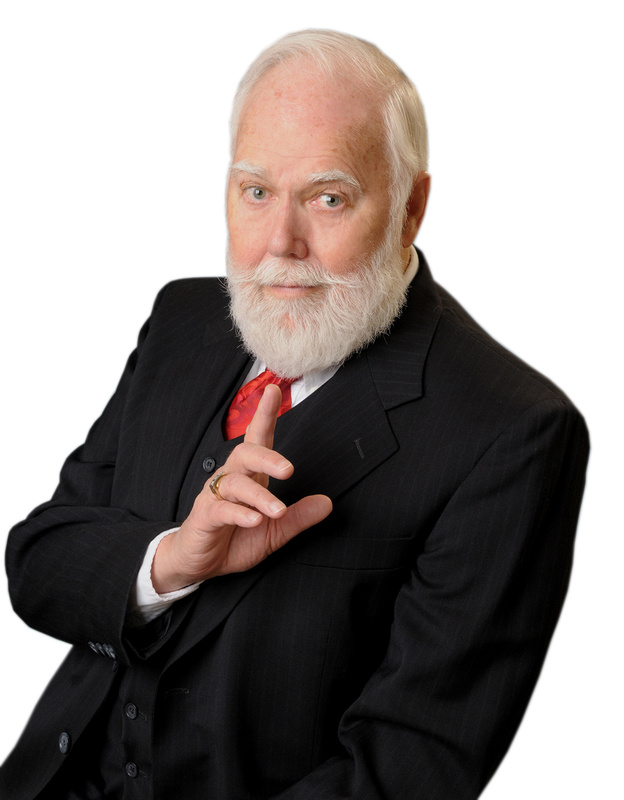 He was a writer/researcher and technical consultant for the multi-award winning series "Ancient Secrets of The Bible," which debuted on CBS TV and has been in constant re-runs since. Did Muslims start Notre Dame fire? Jussie Smollett escapes 16 felony counts! !